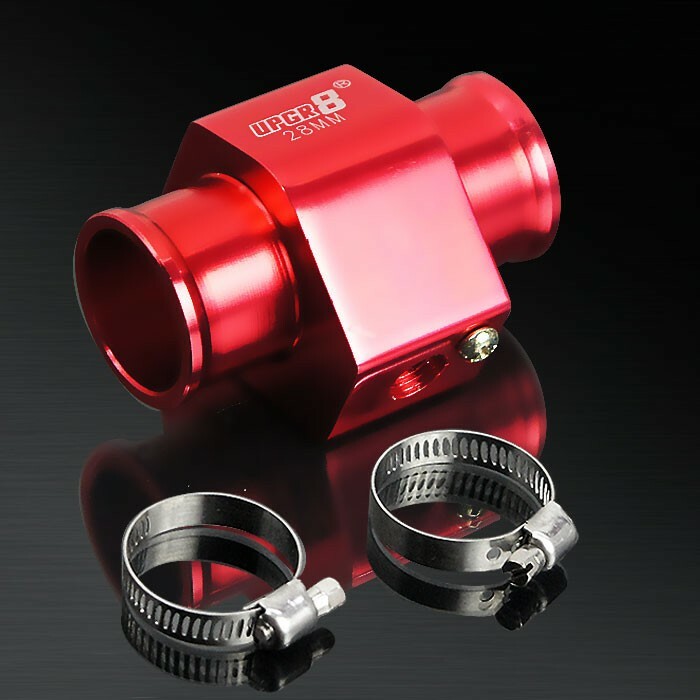 UPGR8 water temperature sensor adapters are constructed of aviation grade aluminum for the most durable design, but yet still extremely light weight. We offer all set in a multitude of anodized colors. This is the perfect part to give that finishing touch to a beautiful engine bay. Fits 28MM I.D. Hose with 1/8 NPT Threaded Water Temperature Sensor.